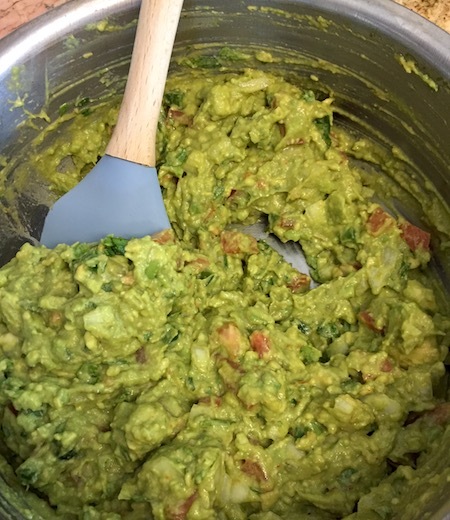 There’s really only one thing to do when you have a bunch of avocados that are about to be too squishy to use: make guacamole! This is the Alton Brown guac recipe, and yes, it controversially uses tomatoes. I like extra veggies. Scoop out the avocado pulp and put it in a large bowl with the lime juice, toss to coat. Add the spices, then use a fork (or your potato masher if you have one) to mash everything together. Fold in all the other ingredients. Let it sit for an hour, then serve.